Shazam! 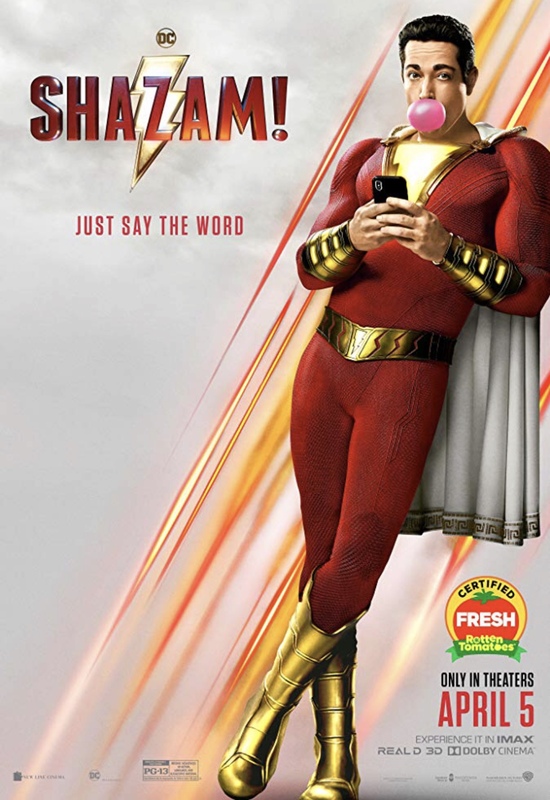 When abandoned teenager Billy Batson (Asher Angel) finds himself selected by the dying Wizard Shazam (Djimon Hounsou) to become his new champion, he eventually is forced to face up to the responsibilities of his new superpowers and save his foster siblings from his enemy, Dr. Thaddeus Sivana (Mark Strong). 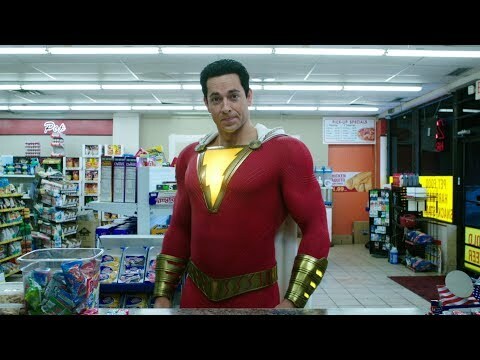 • Zachary Levi, whose big break was starring as computer geek turned government agent in the 2007-2012 NBC series Chuck, packed on 20 pounds of muscle to play Shazam. • The Annabelle doll from director David F. Sandberg’s 2017 film Annabelle: Creation can be seen VERY BRIEFLY in a pawn shop window in the film’s first 20 minutes. Grace Fulton, who plays foster sibling Mary in Shazam!, also appeared in Annabelle: Creation. • The constant attempts to name Shazam in the film is a comic homage to both DC Comics and Marvel Comics having a Captain Marvel. Although DC Comics had the name first, Marvel holds the trademark on the name. Hence, Shazam.